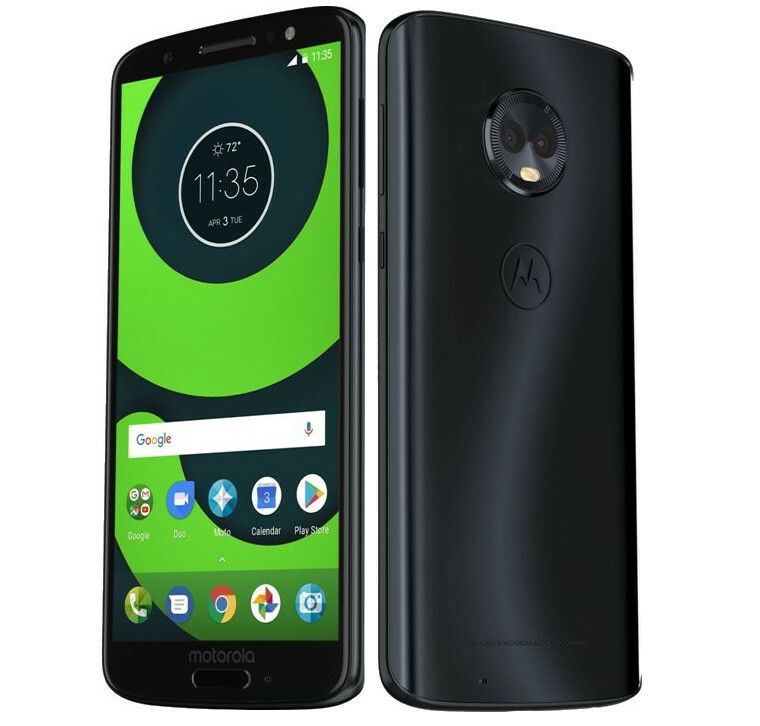 Motorola has launched Moto G6, the successor of the Moto G5, at an event in New Delhi. Alongside Moto G6, Motorola has also launched the Moto G6 Play in India. Let’s check out the specifications of the Moto G6 below. Moto G6 sports a 5.7-inch Full HD+ IPS display with 18:9 aspect ratio and 2.5D curved glass on the top. The display has a resolution of 2160 x 1080 pixels and comes with Corning Gorilla Glass 3 protection as well. Inside the device, there is a 1.8GHz Octa-Core Snapdragon 450 processor along with Adreno 508 GPU. Moto G6 comes in two storage variants; 3GB RAM with 32GB internal storage and 4GB RAM with 64GB internal storage. In case if it isn’t sufficient, it is expandable up to 128GB via microSD card. Moto G6 sports a 12MP rear camera with f/1.8 aperture and LED Flash. It also includes a 5MP secondary rear camera for the portrait shots. The phone has a 16MP front camera with LED flash and f/2.0 aperture. The handset has a fingerprint sensor mounted on the front home button below the display. Moto G6 has a water-repellent coating which protects the device from water splashes or light rain. The phone comes with Moto Display, Moto Actions, Moto Voice and other usual sets of Moto features. Moto G6 is a Dual SIM smartphone with dedicated Dual SIM and SD card slots. It supports connectivities like 4G VoLTE, WiFi 802.11 a/b/g/ n, Bluetooth 4.2, GPS and USB Type-C. The device packs a 3000mAh battery which supports turbocharging and runs on Android Oreo 8.1 out of the box. Moto G6 arrives in Indigo Black color in India with a price tag of Rs. 13,999 for the 3GB RAM with 32GB storage variant. Whereas, the device 4GB RAM with 64GB storage variant costs Rs. 15,999. The device is up for sale exclusively on Amazon India. It will also be available to buy from Moto Hub stores.